This was the question she asked me…She was rightfully struggling with this tough question in her own life. When I heard about the heartbreaking circumstance she was dealing with, I could understand why. And I saw me in her. I felt her desperation. Her feelings of betrayal. Betrayed by the very God who created her. I recognized the familiar battle of longing to trust and rest in her Heavenly Father—yet, feeling the conflict of the war within. It was a good question. And I thoughtfully pondered it for just a bit before I honestly answered her. I struggled with this. How could I trust a God who allowed so much hurt and pain in my life? I knew pain and suffering wasn’t part of God’s original plan, but if He really was God and all powerful, He definitely could stop the suffering. But He didn’t. Over and over again, my heart kept being broken as I watched my children suffer time after time again. It felt like God was distantly watching from heaven. And I felt angry at God. Deeply betrayed. After all, the God I served would protect me from all suffering and evil if I l did my best to live for Him…right? And if I had sufficient faith in His healing power, and believed that His stripes would heal, and declared healing over my children’s sick bodies, He would surely heal them…correct? Let me assure you. I tried my hardest to serve God. I desperately prayed and I earnestly reached out in faith, believing in their physical healing. But that’s what the problem was. It was all about what I was trying to do. Or about what I wanted God to do. It had nothing to do with who He was. I couldn’t really trust God because He wasn’t all that I had made Him to be. The God I was serving failed me. So what took me from the place of deep betrayal and mistrust to reckless abandonment into the arms of God? I finally came to the place of knowing God. I know His heart. And I trust Him. I’m convinced of God’s great love for me, regardless of my circumstances. Because I know that God’s love isn’t dependent on my circumstances. I no longer feel betrayed when God doesn’t protect me from bad things, because He never promised me He would. I don’t become angry at God and blame Him for my pain, because I know it’s not His fault and it doesn’t come from Him. But I do know…that God weeps when I weep, He comforts when I need comforting, He speaks when I listen and He always shows up in each of my storms. But how can we ever expect to trust someone we really don’t know? We won’t. I realize now that I had a wrong view of God. Because of my faulty perception and wrong expectations of God, I struggled to trust Him when He didn’t seem to live up to them. But God didn’t need to change, now did He? It was ME that had to change. And once I began to know Him and His heart, I began trusting Him. Now I’m convinced, without any hesitation, that God will always be there to carry me through each and every heartbreak I may ever experience. No, He may not prevent or take away all pain or loss, but I know He will walk through the storm with me. And now I can rest and have peace in that. So do you trust God? You have a simple choice when you face a loss or difficulty. Either you will say, “Yes, God, I’ll trust You,” or you’ll say, “God, can I really trust You?” And this is a good question, because I believe God will never hide the answer from you, but will reveal Himself in a greater way. And to know God, is to trust Him. 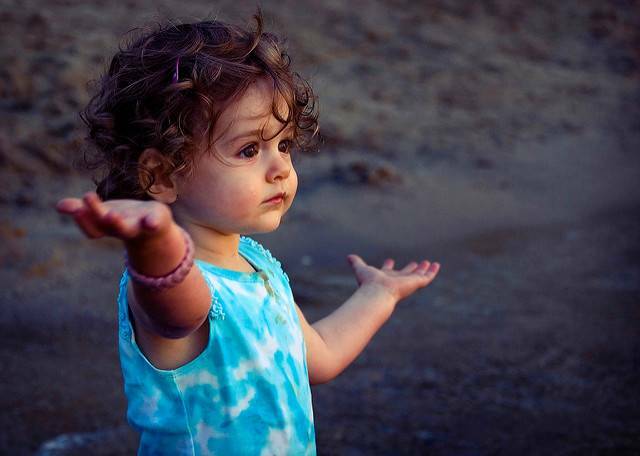 Why does God want us to have a childlike faith in Him? Visualize with me a small toddler who is thrown into deep water, as she is falling, she doesn’t fear because her daddy is there, and he will surely catch her. The thoughts never seem to occur to her that she may actually be submersed in the water, or that she could even drown. Instead, she trusts in those strong, capable, and loving arms. Her focus isn’t on the danger, but on his ability to protect. But then, surprisingly, her daddy doesn’t catch her. And as she hits the water the freezing wetness closes about her, she panics. She flounders desperately and cannot figure out why her daddy failed her. After several moments of struggling, she notices a change. Then she realizes she is beginning to swim! Suddenly, she feels those strong arms come underneath her, and as she is pulled close, she flings her arms around her daddy’s neck. She realizes those loving arms were never far from her and didn’t fail her. For whatever reason, they limited themselves and, because of it, she became stronger. Now she chooses to come back into these same arms, not only because of sheer survival, but because she’s now more convinced, now more than ever, that these arms are filled with love. Love and relationship causes her to squeeze his neck tighter, confident in her daddy’s love. 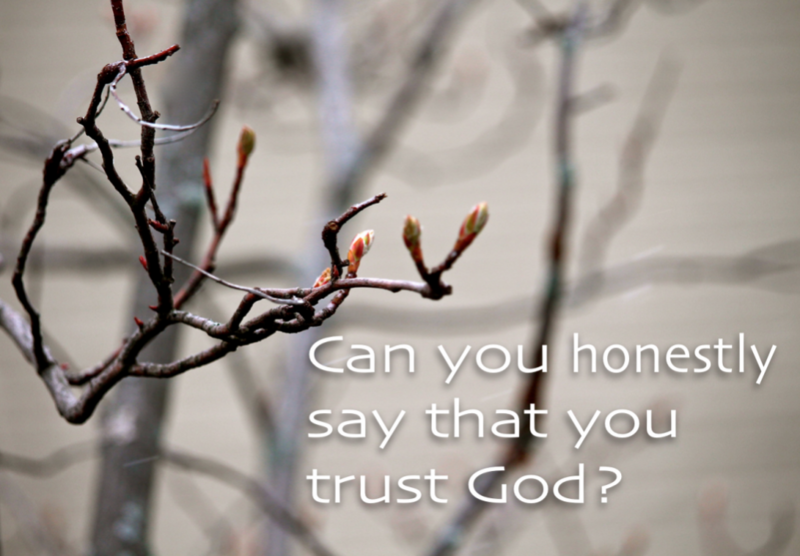 Let me ask you…Do you trust God? Do you know His heart? Have your wrong perceptions of God hindered you from trusting Him? And how can you begin trusting God without spending quality time with Him? Once you intimately know God, you can unquestioningly trust Him. So good to read this, Cindy…. To put into words n definition of what my journey has been. I too understand better that to weather the storm when God seems distant makes me stronger because it’s then when I cry out for Him more and lean harder on Him, only to find out He’s always right there with me. Thanks! Thank you for sharing, Lori…Yes, God often uses those difficult times to deepen our relationship with Him and conform us to His image. But that doesn’t mean it hurts any less. May God surround you as you continue walking as a woman of faith! Are You More Free Than A Prisoner? "From Pain To Purpose” ministry is honored to partner with you in bringing hurting people, from around the world, in contact with the healing power of God. Our heart’s desire is to disciple those who’ve had painful experiences in life, helping them to find purpose in their pain, and choosing to honor and glorify God through these experiences. This ministry is only made possible as God provides finances through the generosity of friends like you. Your prayerful consideration and giving will allow us to impact the lives of hurting people for God’s glory. Thank you so much for your contribution to “From Pain to Purpose” ministry. May God richly bless you.